The most genius thing about wearing cannabis-inspired jewelry is that it’s like a secret handshake between members of a private club—only instead of Skull & Bones, it’s stoners. 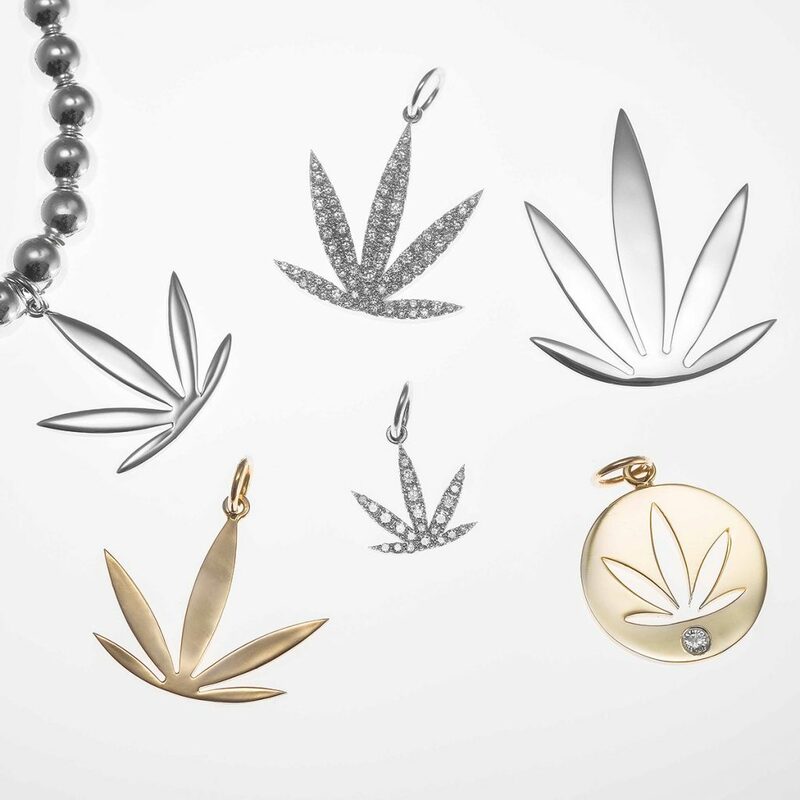 The iconic cannabis leaf—usually seven-point in imagery—doesn’t look so different from other less controversial florabotanica iconography that inspires jewelry designs daily. 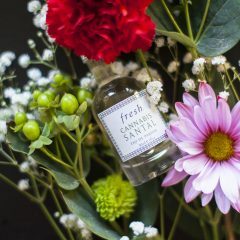 So, not surprisingly, even people who don’t know their indica from their sativa are collecting and wearing herb-inspired pieces, supporting brands that are using their designs to advocate for marijuana legalization. 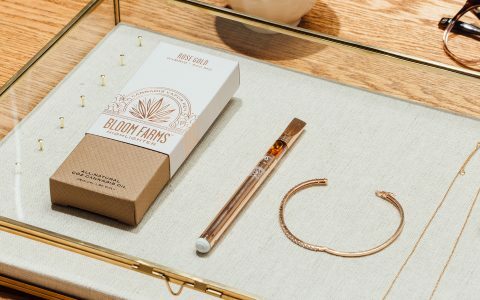 “Most of my [muses] rock the Sweet Leaf, even if they aren’t cannabis users,” fine jeweler Jacquie Aiche told Leafly. It’s not just sparkle, either. Aiche also sells $190 sweatpants and $440 snake skin doob tubes—because she’s, er, practical. This collection was founded by a father-daughter team—and we all wish our dads had this much good taste. 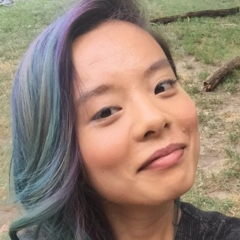 Genifer Murray co-founded one of the first cannabis testing labs in the United States in 2010 and wanted to represent the marijuana industry in a “non-threatening and elegant way” while she was lobbying. Enter her father, a technically trained gemologist who made a 2.5K diamond pave indica leaf lapel for Murray to wear with her suits. 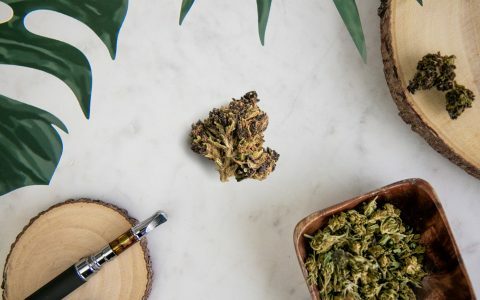 “I wore the pin everywhere and could see it was not only changing minds, but starting conversations with people that traditionally wouldn’t openly discuss or inquire about cannabis,” she tells Leafly. 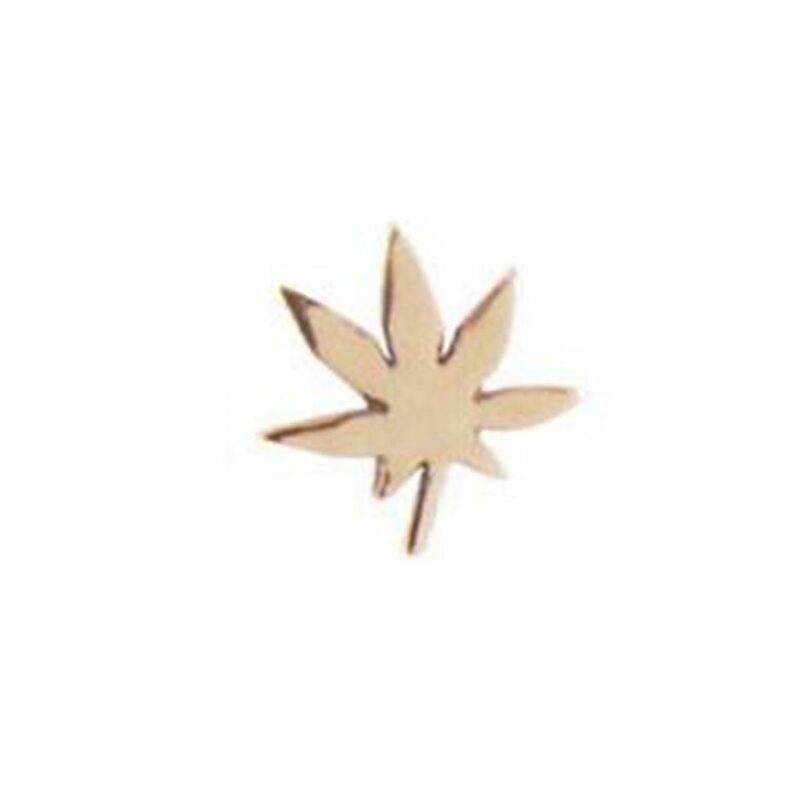 You can still get lapel pins for as low as $30—and they even come in CBD- and THC-molecule types, too, for the nerdiest among us. Genifer M now offers necklaces, bracelets, earrings, cufflinks, chains, and, yes, some clothing. 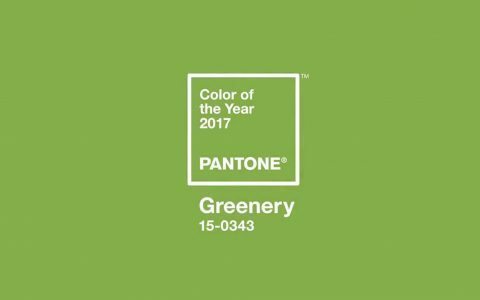 The Modern Leaf design, which is sold in five-point or seven-point leaves, is the most popular design. 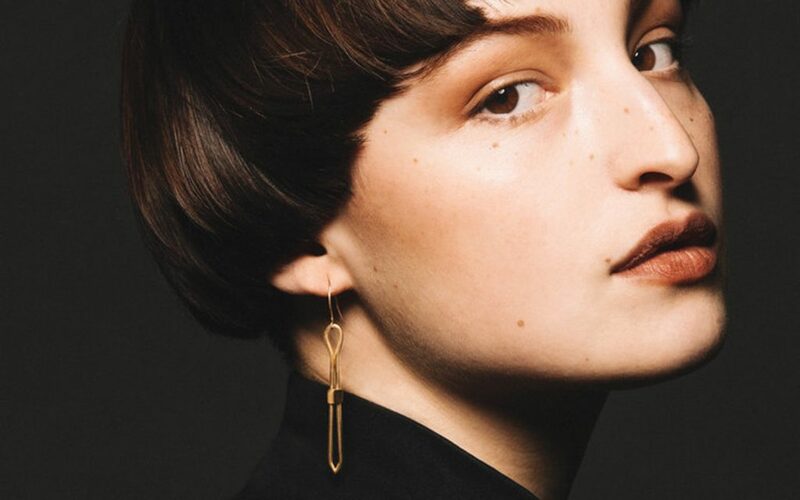 Portland-based High Society Collection is best known for its structural roach clip jewelry, but you can also find a few purely decorative options like these $140 Globe & Tassel earrings. And yet, why would you need them when you could get these Marni-lookalike Mary Jane’s Earrings that are also pinchers for only $45? 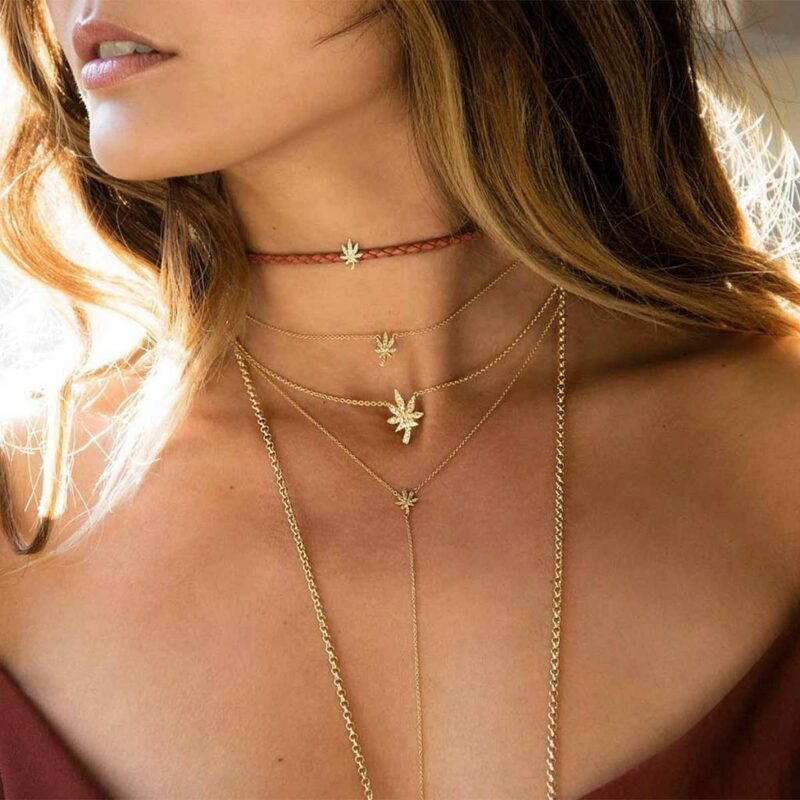 Many of these pieces are gold-dipped and gold-plated brass, which means you could unobtrusively wear them to work—or dinner with your in-laws—without arousing any suspicions. 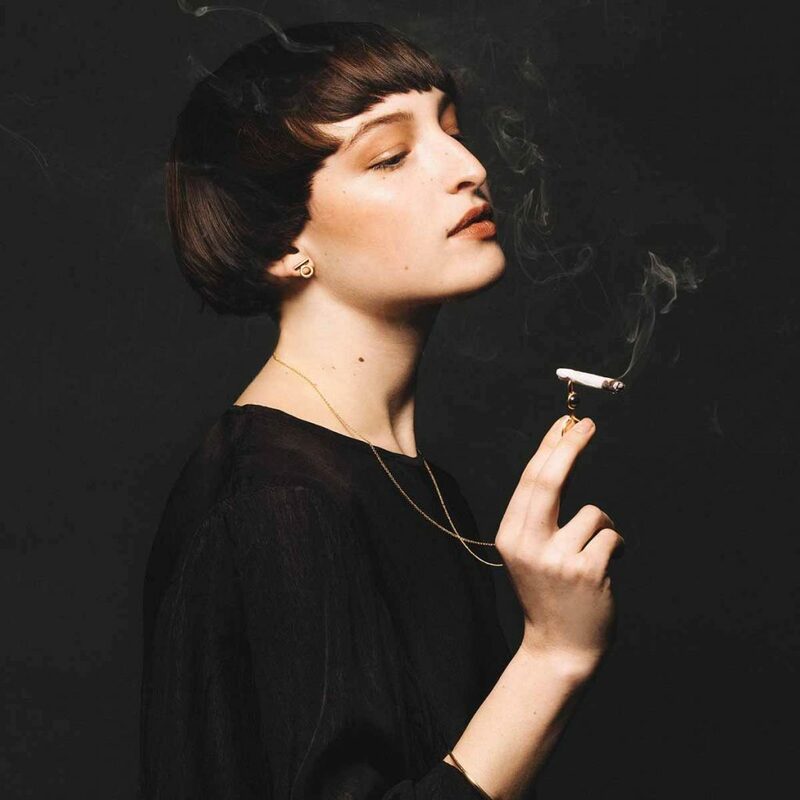 Founder and designer Erin Rose Gardner studied metalsmithing and jewelry at the University of Oregon and has been exhibited internationally at Galerie Rob Koudijs in Amsterdam, Houston Center for Contemporary Craft in Houston, Norton Museum of Fine Art in West Palm Beach, and more. If you’re lucky enough to live in the Portland area, the studio offers beginner jewelry-making workshops, too—though these seem to be for simple stacking rings. Roach clips should probably be left to the experts. 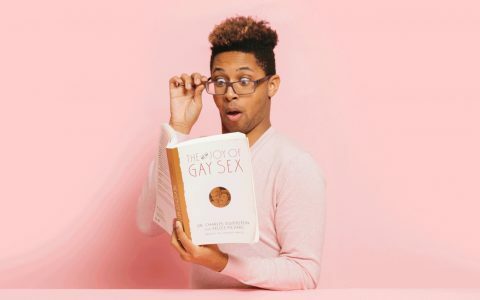 But don’t overlook the Kush stud earrings and necklaces, which come in 14K gold or sterling silver and are classics for any minimalist’s wardrobe. IGWT even sells a brass Zippo lighter that you can get personalized, just to make sure no one “borrows” it. 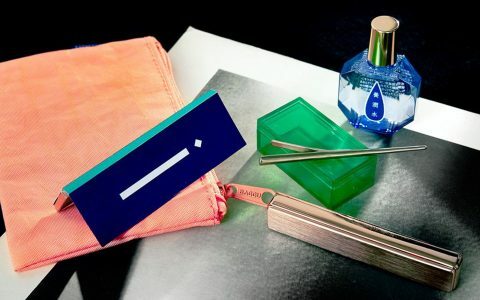 Co-founders Luren Jenison and Lydia Okrent knew that cannabis could profoundly elevate your lifestyle—they just didn’t think the products on the market were aesthetically elevating, especially for the type of person who uses the word “curate” to describe their lifestyle. Hence Sweetflag. 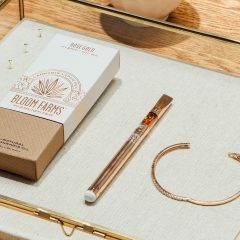 There are gorgeous accessories for before, during, and after your smoke, from a rose gold grinder, to a Golden Snitch-shaped orb to store your stash, to color therapy glasses to alter your perspective in another way. 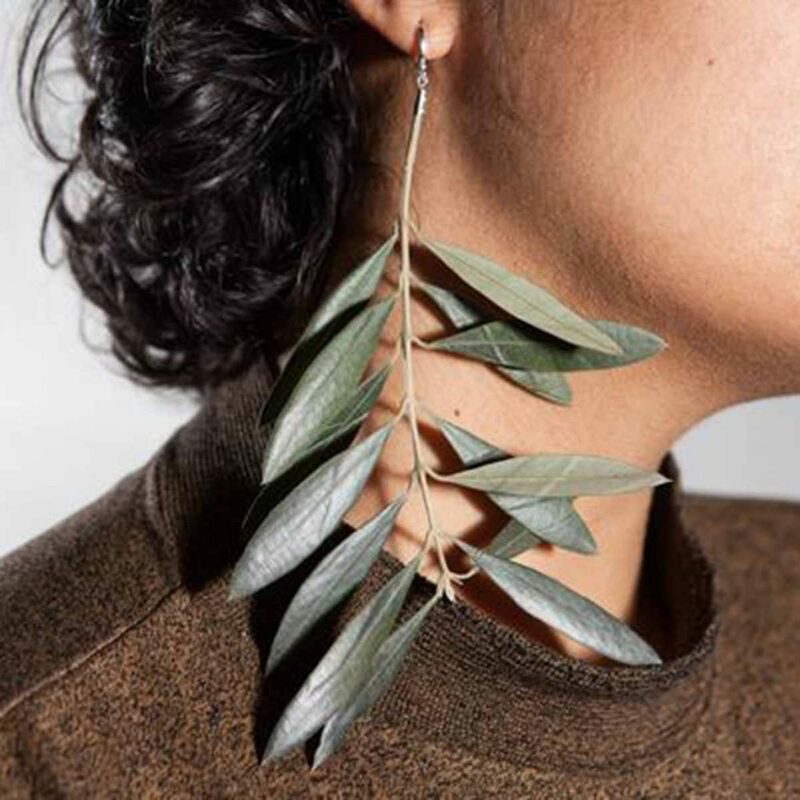 The earrings that Sweetflag sells are designed by artists Claire O’Keefe and Eugenia Oliva in Spain—using freshly picked plants from large magnolia leaves to sweeping olive branches, they prove that cannabis-inspired style doesn’t mean slapping a straight-up cannabis leaf on everything. Do tag us on Instagram if you buy anything.